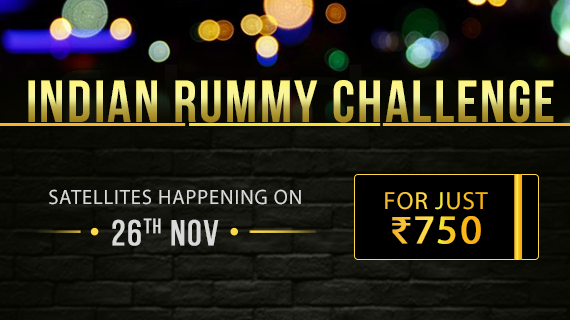 Indian Rummy Challenge satellites happening on 26th Nov, for just Rs.750!!! 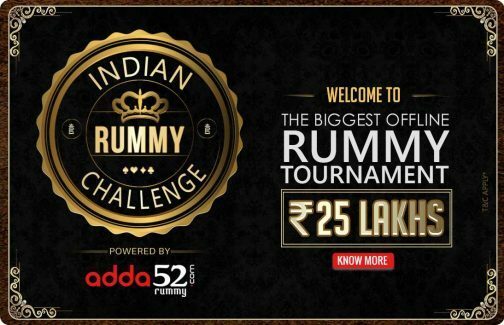 ‘Indian Rummy Challenge’ (IRC), India’s largest offline rummy tournament by Adda52 rummy has started and is running full throttle!! The event commenced on 23rd October and will run till 26th Nov for almost a month! Which means a month’s stretch of unlimited rummy online! The main event of Indian Rummy Challenge is all set for happening at Deltin Royale Goa on 4th December for a grand prize of Rs.25,00,000, and a first prize at Rs.10,00,000. 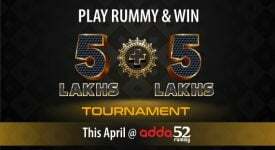 If you are a rummy fan, you would be super excited about the event! 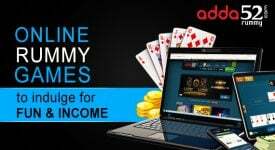 So here’s how you can get in and play more than online rummy at the event. The first option is the Satellite events which are mini tournaments lined up back to back during the course of the event. There is also the option of entry through leader board with minimum 40,000 Loyalty Points. And for those who want to cut the wait out, a deposit of Rs.50,000 will secure direct entry to the tournament. The first option of Satellite events offers online rummy players a plethora of opportunities to get into the event. These satellite events keep the tempo up and running for the players and don’t let the excitement fade by even a wee bit. The buy-in amount of Rs.25 is affordable enough to warrant multiple trials. And the sheer number of satellite events offers multiple opportunities for players to succeed. It is indeed a golden occasion to secure a place at the Deltin Royale Goa, the floating event in Goa. The Deltin Royale is an exotic cruise which offers multiple card game choices amidst luxurious amenities. The cruise decks are lined with these luxuries not just for the playing population but also for the accompanying guests. All this must sound wonderful for someone seeking to mix card games and luxurious relaxation. Satellite events are the perfect entry point then! If you can play and win tickets through the satellites, you stand to enjoy the cruise with your family or friends too! 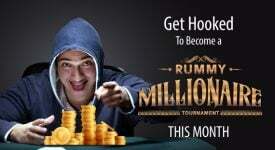 Final online event of Indian Rummy Challenge satellites happening on 26th Nov !!! Hurry! Rush and book your seats!! Coming back to the arrangement of IRC satellite events, every weekend is Quarter Final time and there are four Quarter Final Satellite events in all for a buy in amount of Rs.100. 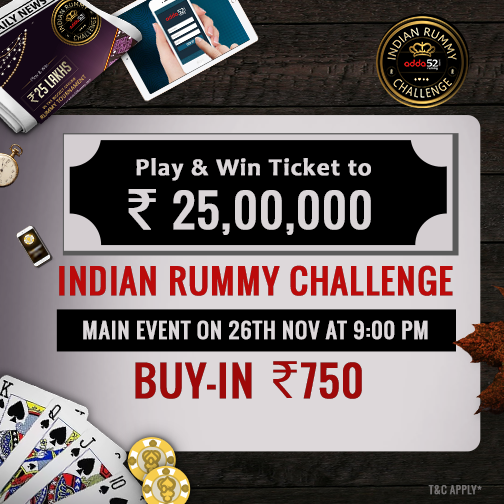 The Satellite events for the Indian Rummy Challenge started on 23rd October and will end on 19th November. Tickets awarded are few and so are seats! You must hurry to register at the game before you lose it out to some competitors. So far the rush is pretty high and the numbers are on a continuous upswing. 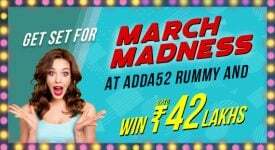 Our advice, haste is an absolute must, as adda52 rummy has always attracted players by the hundreds in every event. The Indian Rummy Challenge is no different and has sparked off great interest in online Rummy fans. If you are a true blue Rummy fan and play online Rummy like no other, you must get on the IRC satellite bandwagon ASAP!! !